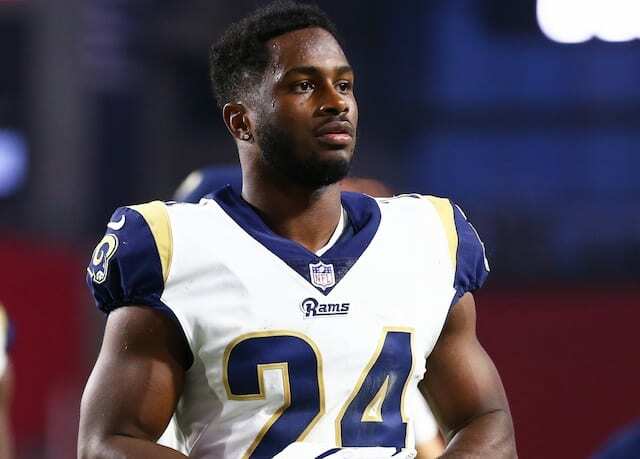 With offseason workouts beginning on Monday, the Los Angeles Rams announced that they have signed restricted free agent safety Blake Countess and the team’s five tendered exclusive rights free agents. Countess signed a one-year contract, and exclusive-rights free agents defensive end Morgan Fox, defensive back Dominique Hatfield, wide receiver KhaDarel Hodge, returner JoJo Natson and defensive back Kevin Peterson all signed their one-year deals as well. Countess originally was a sixth-rough pick of the Philadelphia Eagles in 2016 out of Auburn but signed with the Rams after being released and has spent the last three seasons in Los Angeles. The safety has recorded two interceptions, three pass defenses and 44 total tackles in 37 career games with the Rams. Fox and Peterson are both returning from season-ending knee injuries that they suffered before the season even starter, so they will be looking to prove they are healthy and ready to get back on the field during offseason workouts. Natson was the Rams’ primary punt returner last year and also returned some kicks as well. He averaged 10.8 yards per punt return and 18.0 yards per kick return. Hatfield and Hodge appeared in 10 and 14 games in 2018, respectively. Both mainly contributed by playing special teams.